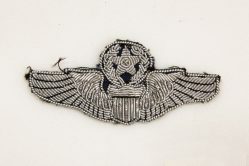 Restricted area badges or line badges, are worn by aircraft maintenance personnel on aircraft flightlines. 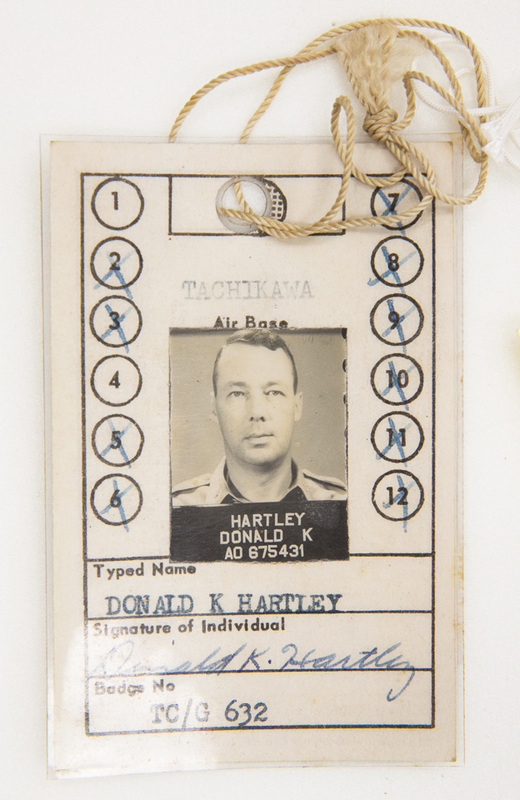 This badge was issued to Donald K. Hartley in 1955 when he was stationed at Tachikawa Air Base in Japan. 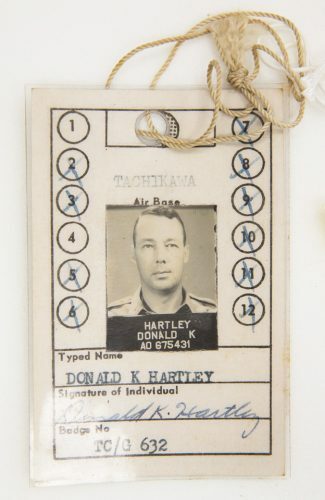 The front of the badge contains his name and photo and the restricted areas he was allowed to access. 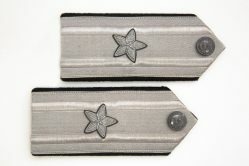 The back contains identifying information such as eye and hair color, age, height, and weight. 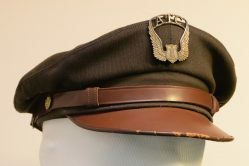 Colonel Hartley served in the U.S. Air Force and U.S. Air Force from 1943 to 1966.